In 1914, as a result of various causes but triggered by the assassination of Archduke Franz Ferdinand in Sarajevo, the First World War ~ otherwise known as 'The Great War' or 'The War to End All Wars' ~ broke out. 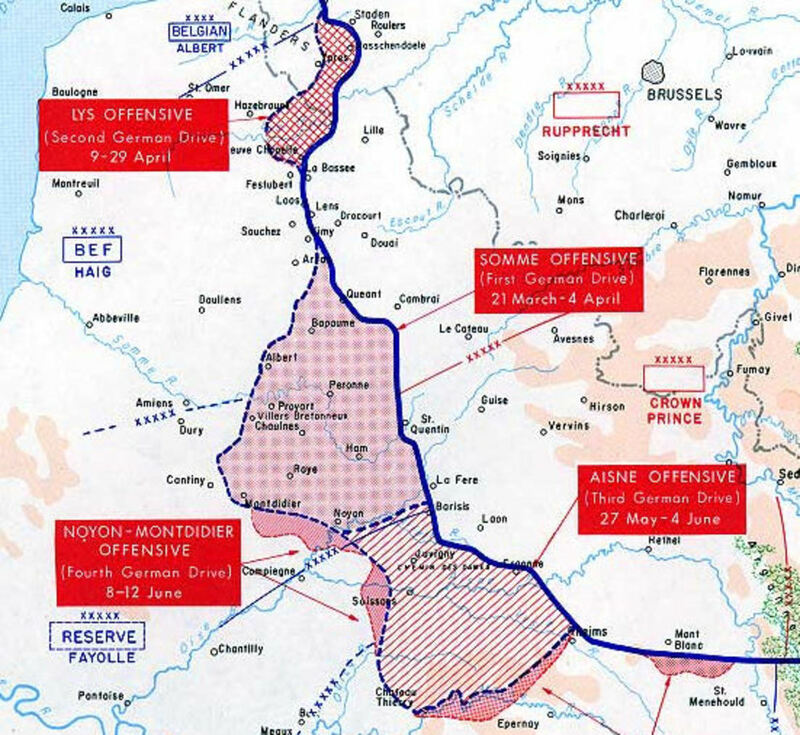 Britain's entry into the conflict resulted from Germany's decision to illegally enter Belgium, in order to allow for their invasion of France, before France invaded Germany, which was what they apparently believed to be about to happen. Britain claimed to be protecting Belgium's neutrality. No doubt, in reality, matters were even more complex than this. The theatre of conflict during the years 1914 to 1918 / 19 covered much of Europe ~ and spread into its seas. 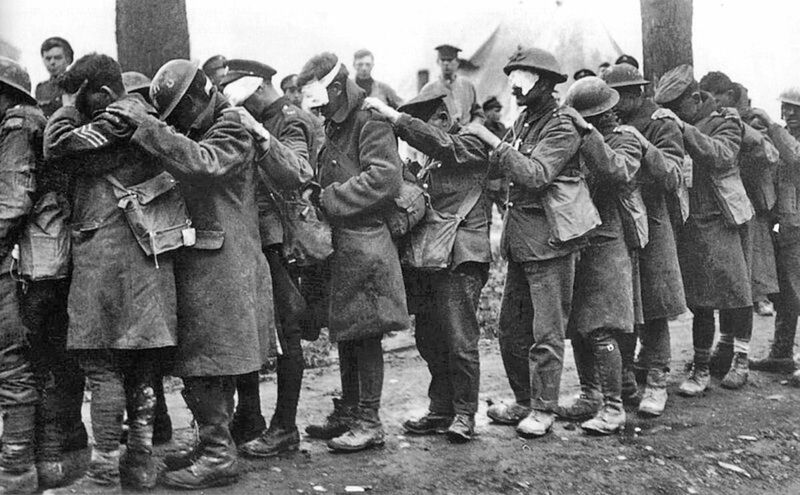 The 'Western Front' was one of the large battle zones of World War One. The line of battlefields making up this 'front' stretched from Belgium, through northern France, almost to the Swiss border. Of course there were changes to the Western Front as the war progressed. It witnessed horrendous suffering and unbelievable numbers of deaths. Shells whizzed overhead. Young men fought bravely. And the war, which should have ended 'by Christmas', went on and on. 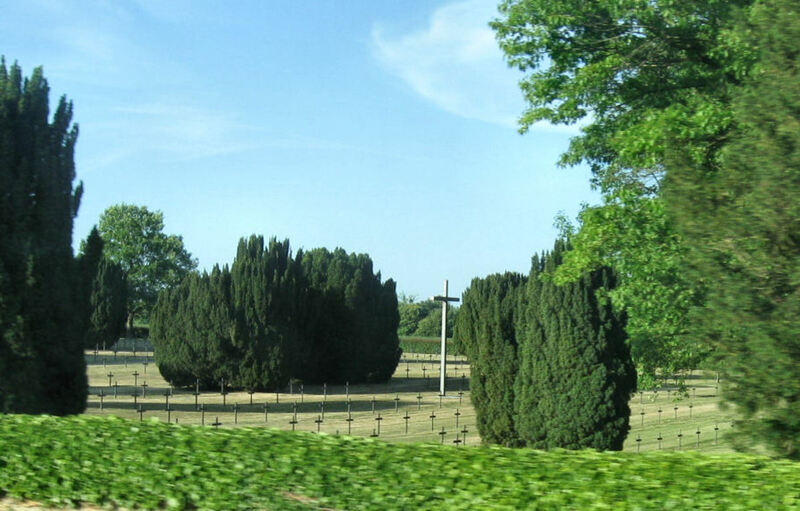 Nowadays, it is hard to believe, when one travels peacefully through Belgium and Northern France, just how much pain and misery were endured there ~ until one notices the myriad of military cemeteries, dotted throughout the landscape. Some of the quietest spots currently on what was 'the Western Front' are the military graveyards. They are easily recognisable by their military precision. Those young men are still very smartly lined up ~ though they lost their lives decades ago. 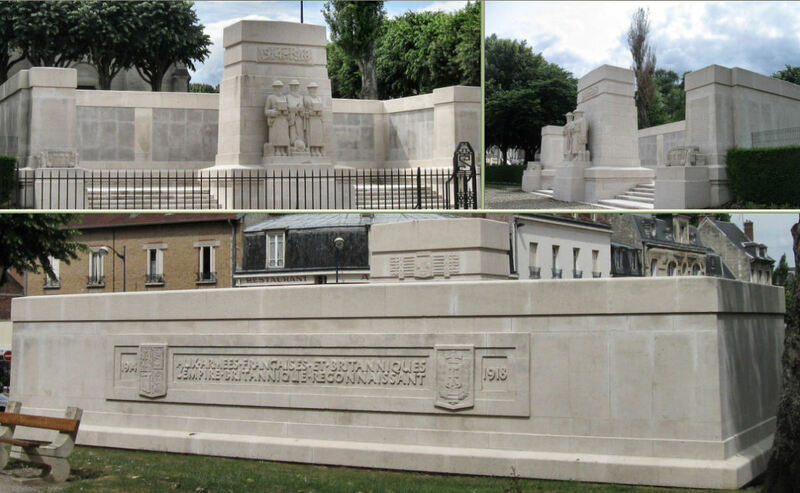 Amongst these memorials to 'the fallen', there are French, British & Commonwealth, American and of course German ones. Youngsters, once so full of enthusiasm, excitement, pride, bravery and patriotism, mown down ~ many say as 'fodder'. Did they even know what they were fighting for ~ those boys and young men, on both sides of the lines? The fact that some played football and sang carols together during that first Christmas of the war ~ 'The Christmas Truce' ~ shows that, for the most part, the English and German boys did not hate each other, or see each other as natural enemies. Propaganda, and punishment for fraternizing, had to be set in place to ensure that friendship was replaced by suspicion and hatred. And some really were only boys ~ children even ~ only perhaps 14 years old! Some were groups of school friends, or brothers, who enrolled together ~ the 'Pals' regiments. They must have been chatty and lively once. Now they lie silent. If they were killed together, then whole families ~ whole villages ~ would have been destroyed by grief! 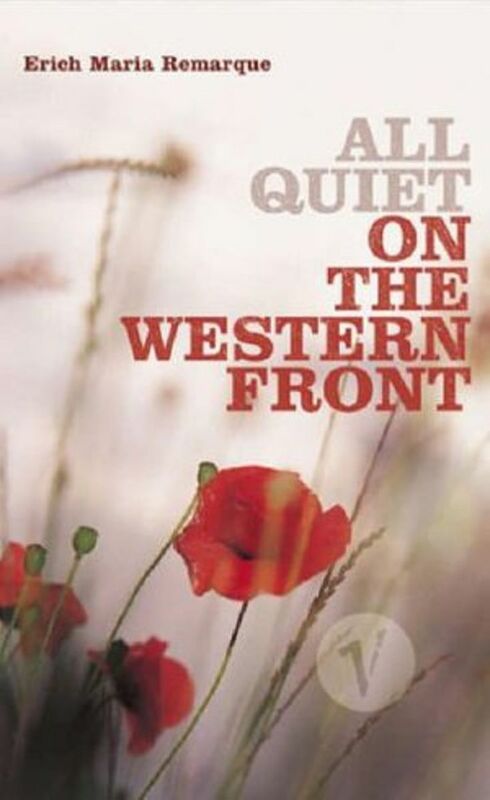 'All Quiet on the Western Front' is a novel written in 1929 by Erich Maria Remarque. 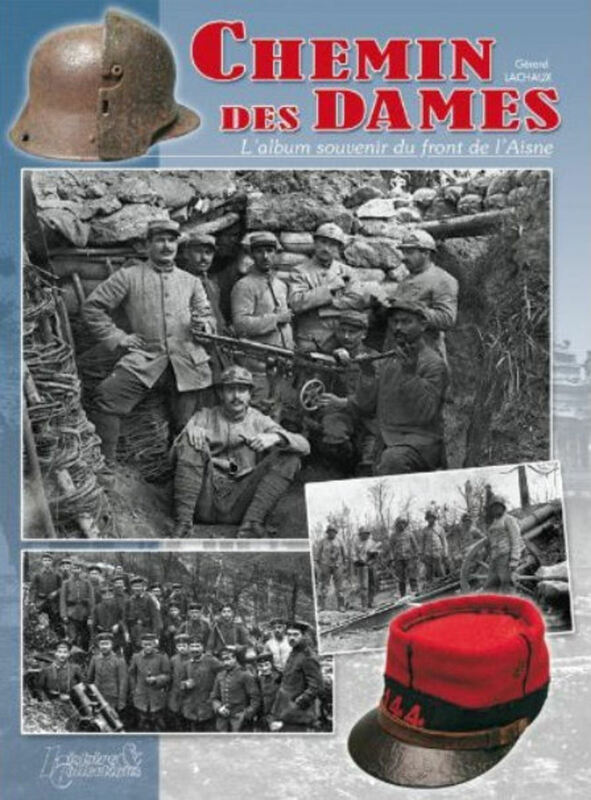 It tells of life as a soldier on the Western Front ~ from the German perspective. The story was made into an American war film in 1930. On the front cover of my copy of the book it states: 'Largest sale of any war novel'. On the back cover it claims that it is 'the finest novel to emerge on either side from the First World War'. "Paul and his friends have realized that the ideals of nationalism and patriotism for which they enlisted are simply empty clichés. "They no longer believe that war is glorious or honorable, and they live in constant physical terror." 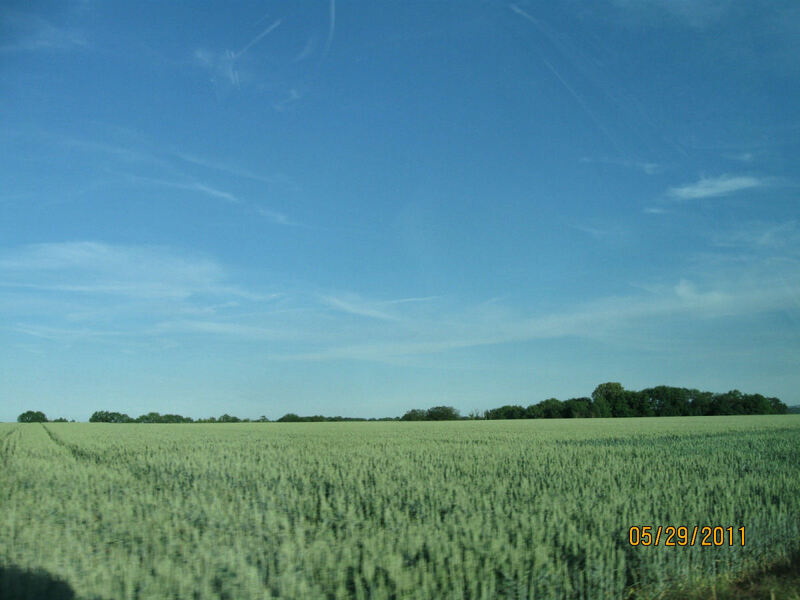 When travelling through Northern France, nowadays, one is aware of the open fields ~ the agriculture, or agro-industry. 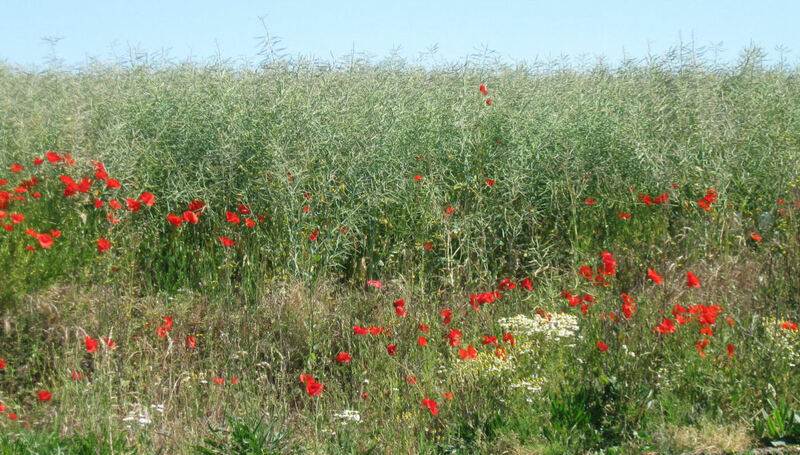 Fields are full of crops, bordered by wild flowers, including poppies ~ that flower, so reminiscent of First World War Battles. 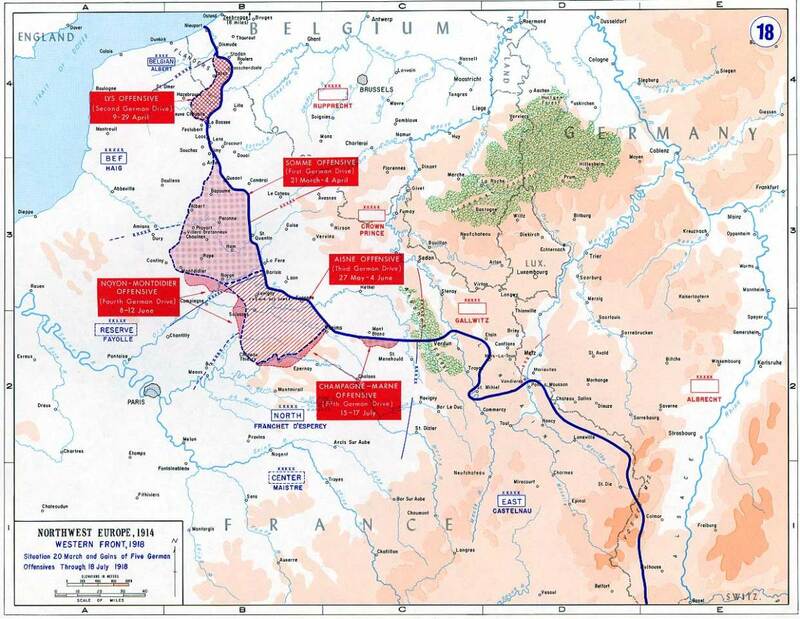 The area known as Flanders ~ on the 'Western Front' ~ includes parts of Belgium, France and the Netherlands. 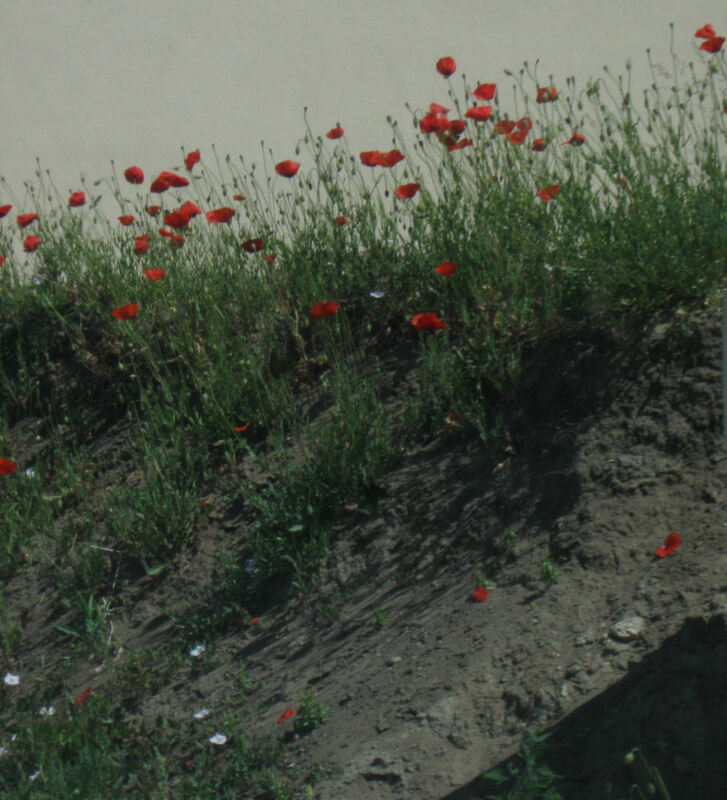 'In Flanders Fields' is a poem by John McCrae, which describes this area ~ but could equally describe much of the Western Front, where poppies sprang up, as they do, on disturbed soil. The military graves stood 'row on row' even then. McCrae was a Lieutenant Colonel and a surgeon. He died of pneumonia in 1918. My family and I visit France regularly, and we have recently returned from a brief holiday in the North of the country (May/June 2011). 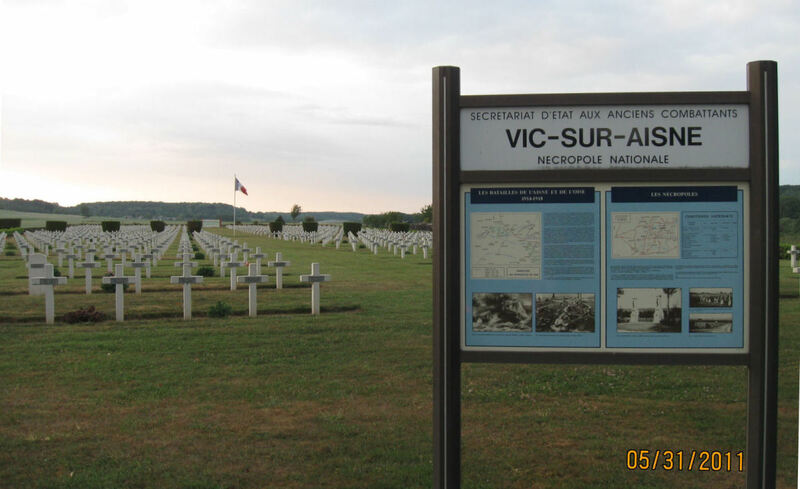 We caught the ferry to Calais and then drove to Vic Sur Aisne. 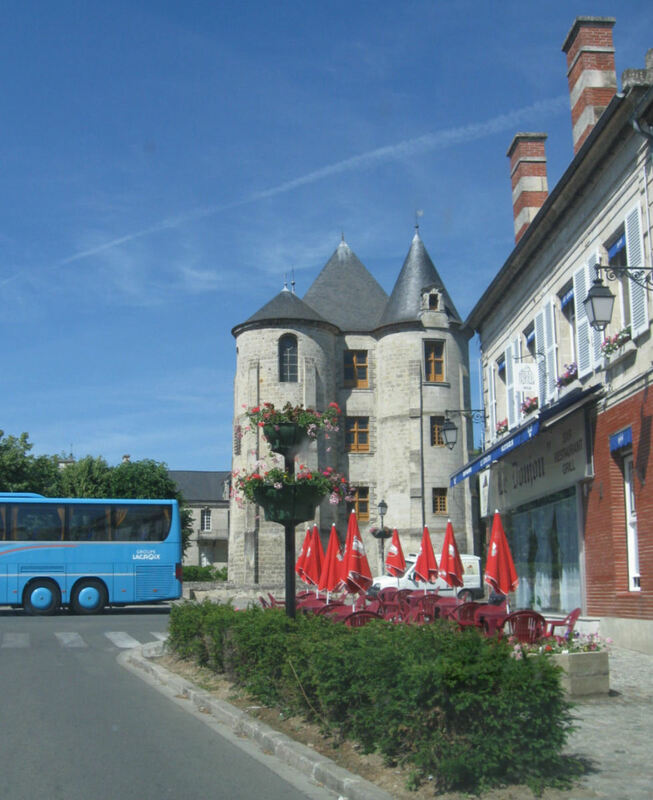 We travelled through vast agricultural areas, crossed rivers ~ including the Somme, scene of much WW1 devastation ~ and viewed churches and cathedrals, as we passed through villages, towns and cities. 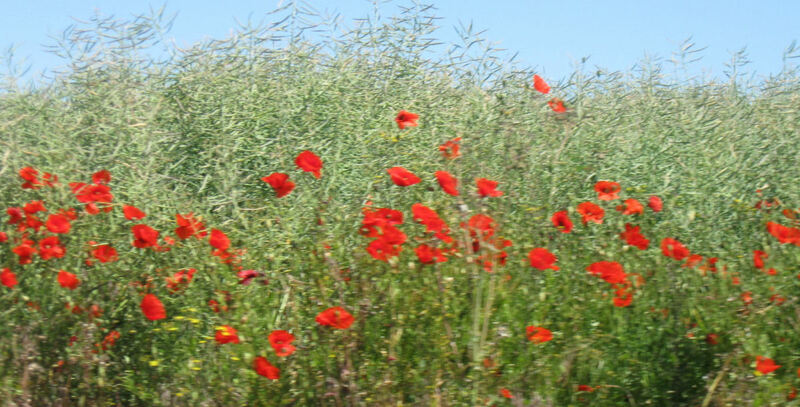 The sun shone; the sky was blue; the poppies danced in the breeze ~ and all was quiet and peaceful. It was not our first visit to the area. On earlier occasions, my family and I have visited the site of the signing of the Armistice and have explored the trenches and memorial at Vimy Ridge. 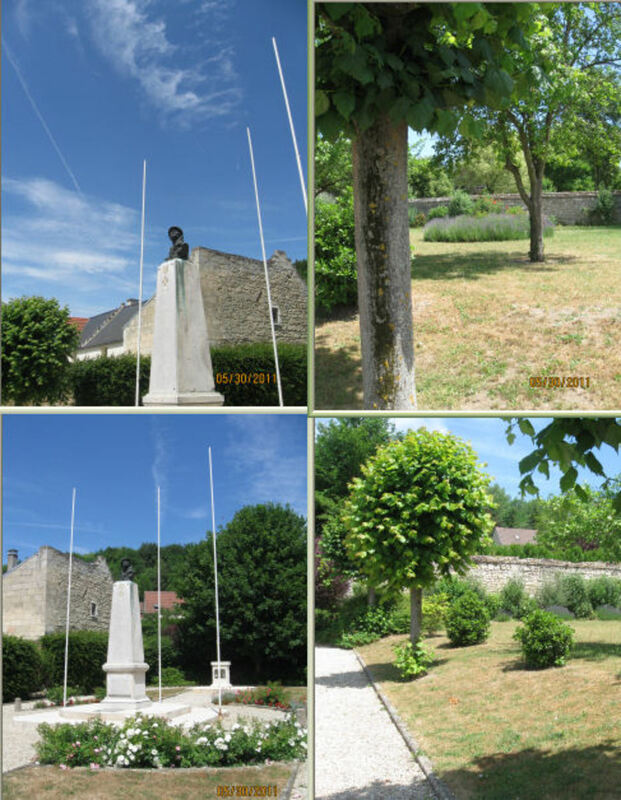 During our recent visit (2011) ~ as on former occasions ~ we stayed in Vic Sur Aisne for a few days. It is a lovely little place, despite being semi-industrial ~ ie. the fact that it is near a large sugar refinery. Though relatively small, it has its own castle. There are some nice restaurants. 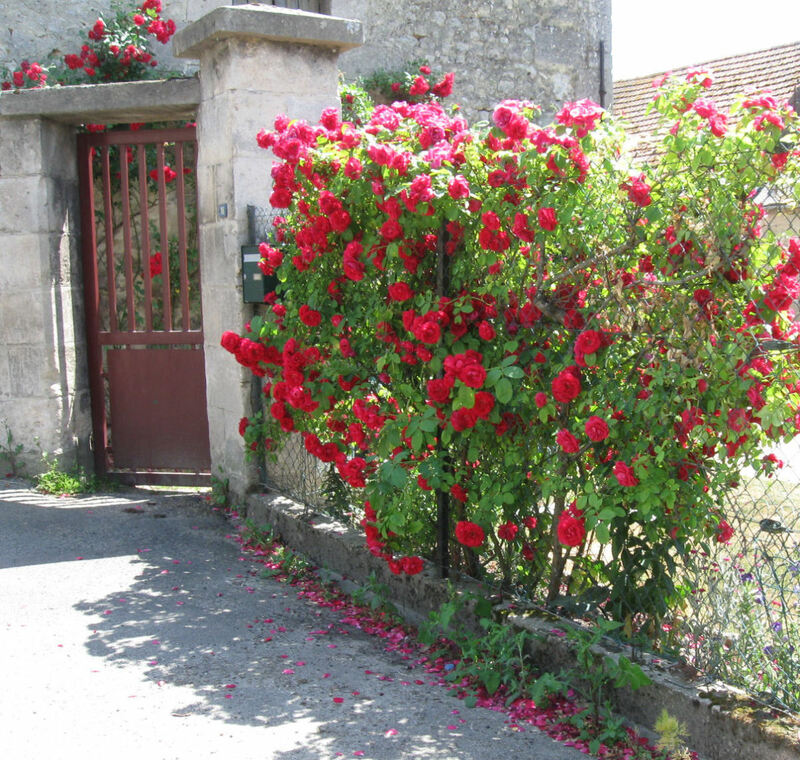 (We were impressed by 'Le Donjon') and it has an attractive campsite, so it welcomes tourists. 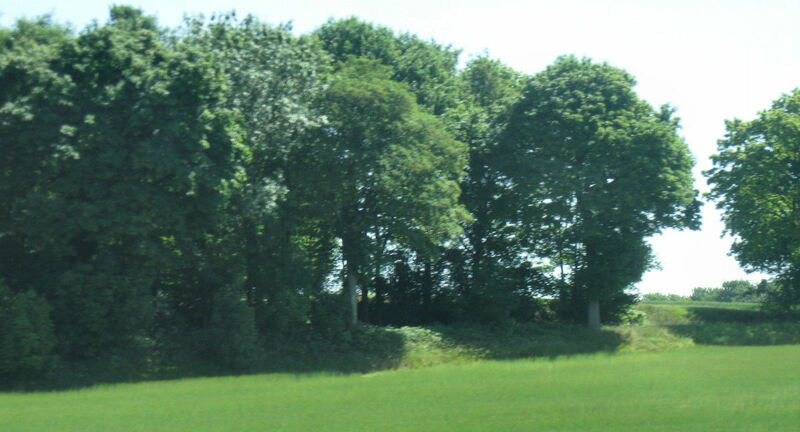 It also has its own military cemetery ~ relatively large; situated on the outskirts of the town. Life and death ~ side by side. A memorial to interminable months of fighting; of attrition; of death, disease, slaughter. Not too far from Vic is the larger town of Soissons. The Battle of Soissons was fought between 18th and 22nd July 1918 ~ French and American troops fighting the Germans. According to Wikipedia, there were 95,000 French casulaties, 13,000 British casualties, 12,000 American casualties ~ and 168,000 Germans casualties. 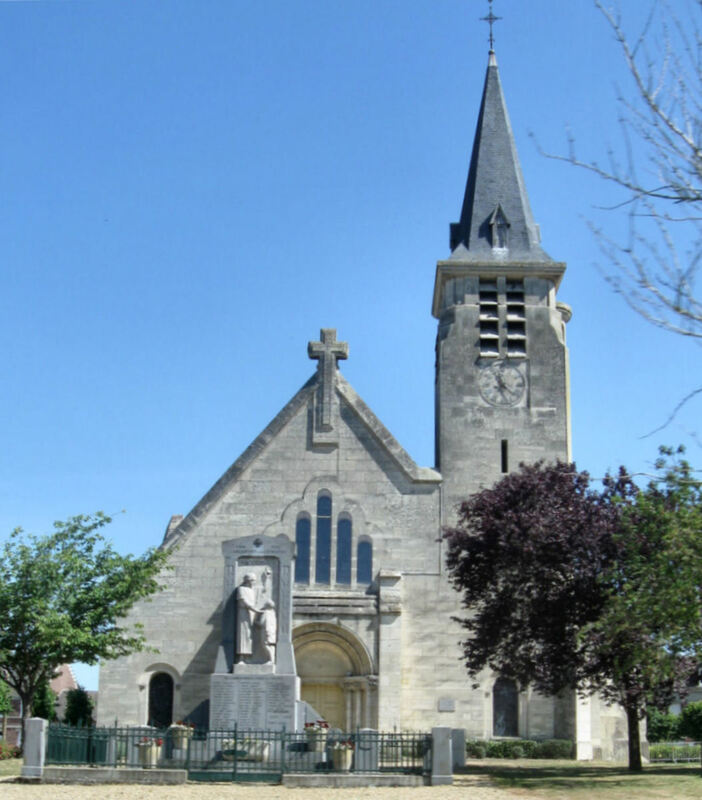 Soissons cathedral is worth a visit and contains some photos of the damage incurred as a result of World War One carnage. Nearby are some large memorials. One is to the fallen French; the other recognises the British Commonwealth. Eric Kennington's 'Monument to the Fallen' is between the River Aisne and the old abbey church and reconstructed cathedral. It was constructed, and is maintained by, the Commonwealth War Graves Commission. According to Wikipedia, this Portland stone memorial lists nearly 4000 British soldiers, whose final resting places are unknown. They died nearby, during the 'Third Battle of the Aisne' or the 'Second Battle of the Marne'. "Here are recorded the names of 3,987 officers and men of those divisions to whom the fortune of war denied the known and honoured burial given to their comrades in death." 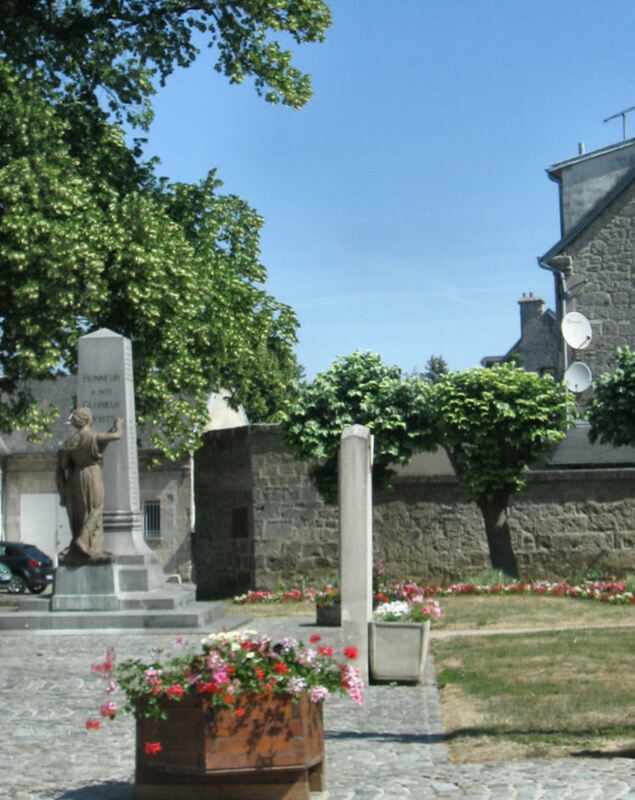 The actual War Memorial of Soissons is nearby; between the old abbey church and the cathedral. As a plaque in the cathedral reminds us, a million dead of the 'Empire' still lie dead on ~ or in ~ French soil. Built by the French, in 1919, the German cemetery at Nampcel was originally mixed ~ French and German ~ but it now contains the remains of only German (11,424) and 'Austro-Hungarian' (3) soldiers. The change was implemented in 1922. Apparently, there was much violent activity in this area towards both the beginning and the end of the war, but the Soldatenfriefhof website notes that 'The majority of the graves though arise from the Kaiserschlacht in the spring and summer of 1918'. 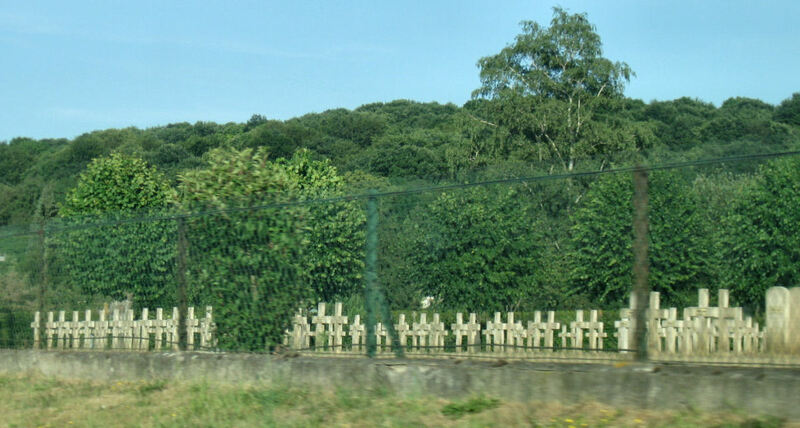 Very close to Nampcel, is another, smaller, German cemetery ~ Moulin sous Touvent. 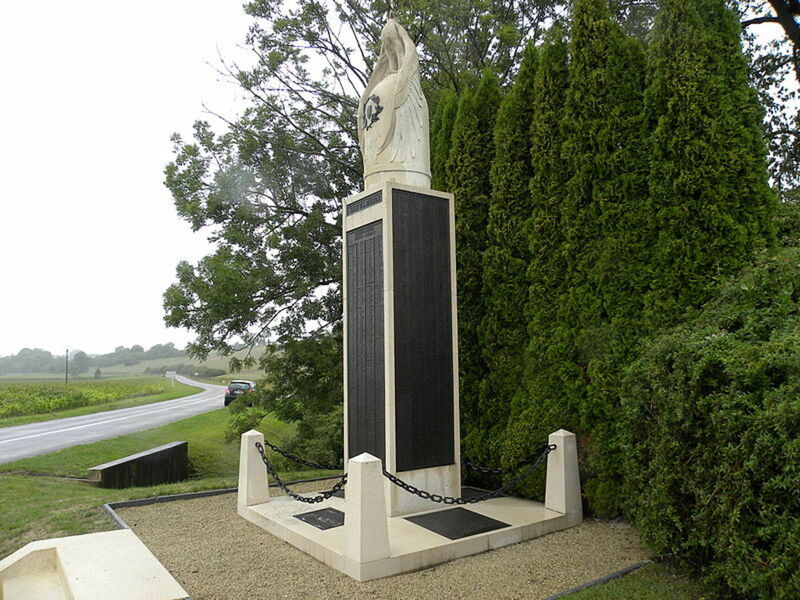 There are 1,903 German soldiers buried at Moulin sous Touvent. According to Wikipedia, there was a total of 16.5 million deaths, as a result of the First World War, plus 21 million wounded. This included 9.7 million members of the military, plus around 6.8 million civilians. At the beginning of the First World War, there was a feeling almost of excitement ~ certainly of patriotism. However, reality soon set in. War was not glamourous or exciting; it was hideous and deadly. The incredibly high number of deaths is reflected in the numerous war memorials and graveyards. The change in attitude is / was reflected in literature ~ most famously in poetry. Rupert Brooke's poetry is poignant, heroic, sentimental ~ and innocent of the true horrors of war. That is for ever England. ......"
Rupert Brooke, one of the British solder-poets of 'World War One', was born in 1887 and died, on a French hospital ship, in April 1915. He was en route to battle at Gallipoli ~ another WW1 theatre of conflict. 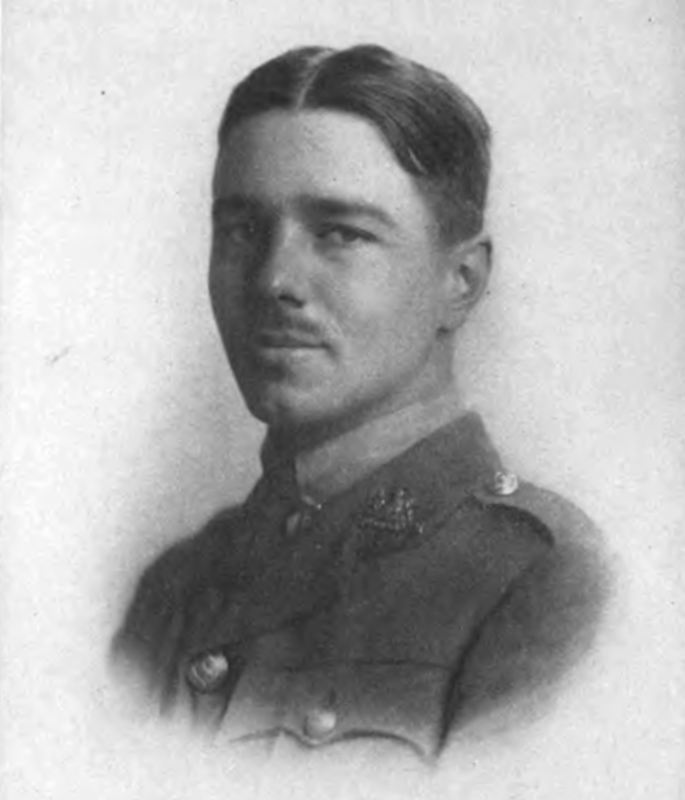 The poem 'DULCE ET DECORUM EST' was written between October 1917 and March, 1918, by Wilfred Owen (1893-1918). No poignant sentimentality here ~ this is the true horror of war. 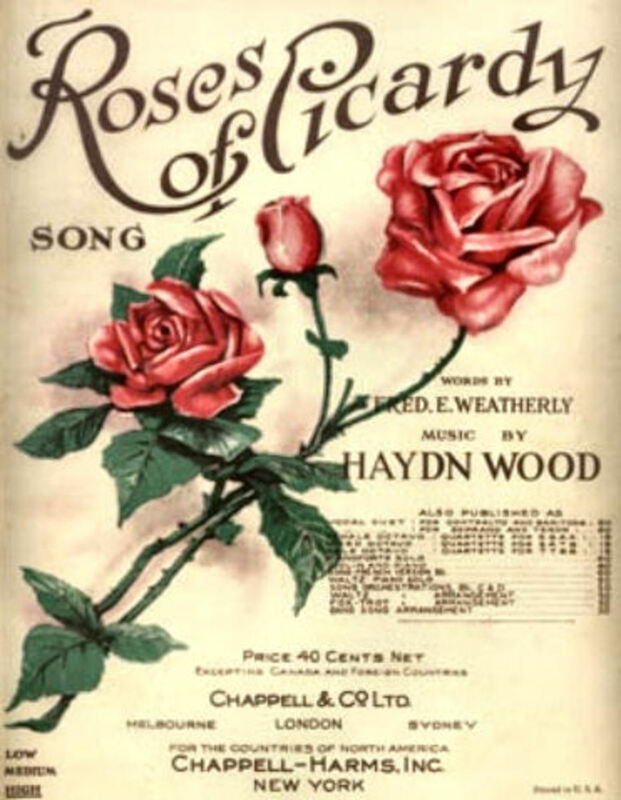 The title comes from Horace's Roman lyrical poetry. The full quote is; 'Dulce et decorum est pro patria mori ' ~ or 'It is sweet and fitting to die for one's country'. But is it really 'sweet and fitting'? ~ No, Owen tells us ~ this is 'The old Lie'. 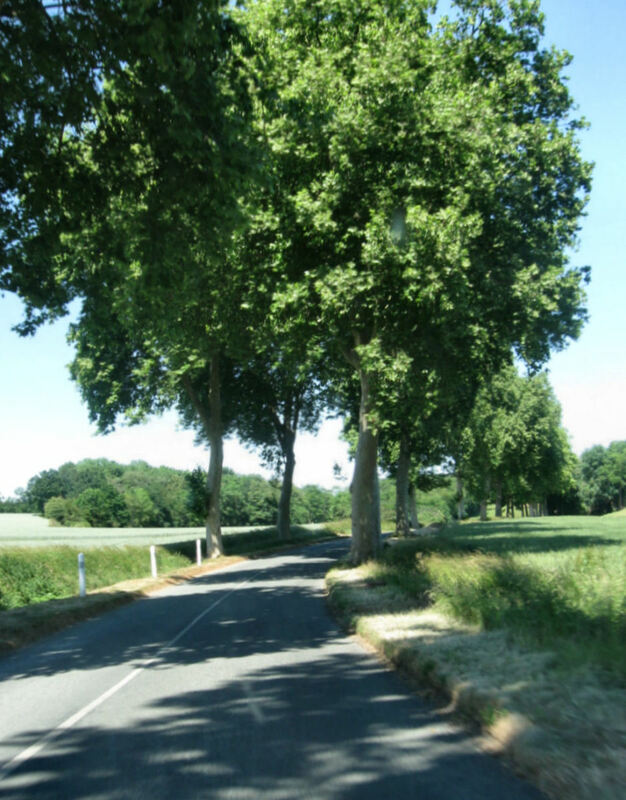 As one whizzes along the French motorway, en route to holiday destinations, one is hardly aware of crossing one of the most famous rivers in WW1 history ~ the Somme ~ as it slowly meanders through the tranquil French countryside. 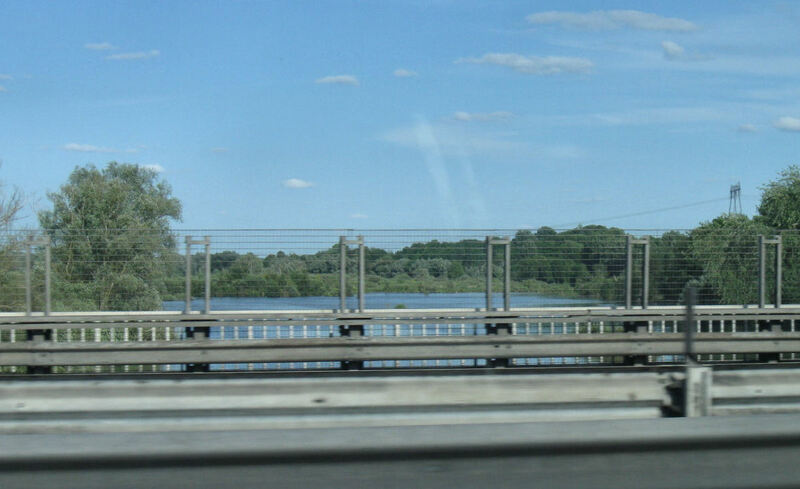 On our way to Vic Sur Aisne, we traversed the River Somme ~ by motorway bridge. The river gives its name to the French Somme 'departement', which is in the Picardy (Picardie) region of Northern France. "I do not know how we all managed to play tennis so calmly ... I suppose it is because we all know so little of the real meaning of war that we are so indifferent." As Christmas Eve slipped into Christmas Day, I finished tying up the paper bags .... I felt wrought up to a high pitch of nervous emotion, that I ought to thank whatever God might exist for the supreme gift of Roland and the love that had arisen so swiftly between us. When, by ten o'clock at night, no news had come, I concluded that the complications of telegraph and telephone on a combined Sunday and Christmas Day had made communication impossible. The next morning ... the expected message came to say that I was wanted on the telephone. Believing that I was at last to hear the voice for which I had waited for twenty-four hours, I dashed joyously into the corridor. But the message was not from Roland ...; it was not to say that he had arrived home that morning, but that he had died of wounds ... on December 23rd. 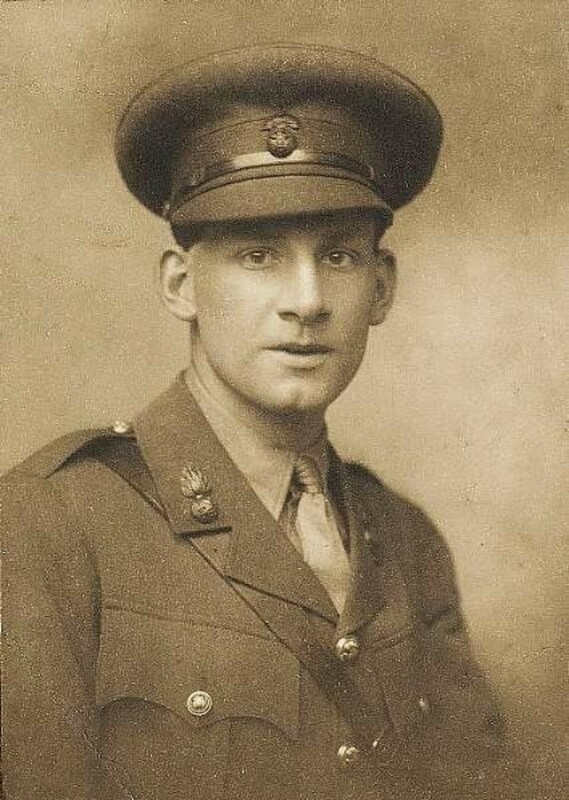 Roland Aubrey Leighton was born in 1895 and died, age 20, in France, in 'The Great War', shortly before Christmas, 1915. His grave is in the military cemetery at Louvencourt, near Doullens ~ in the Somme region. 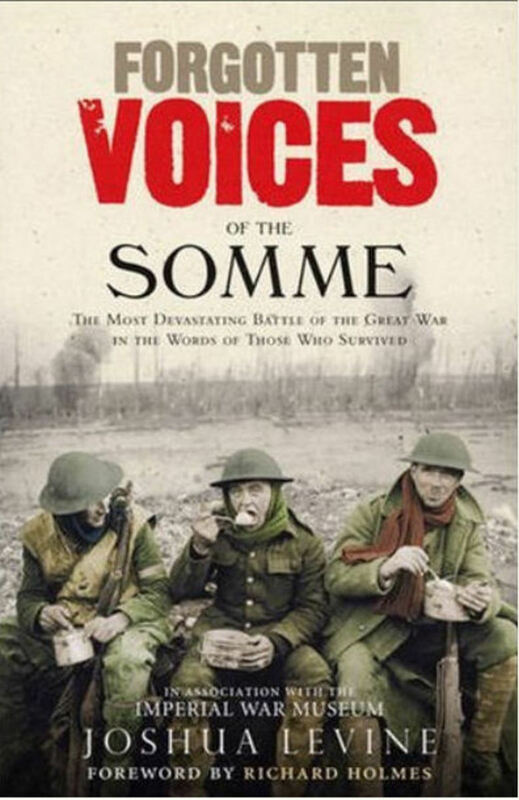 The Battle of the Somme covered both banks of the River Somme and took place between 1st July and 18th November 1916 ~ French and British troops versus German troops. 'The opening day of the battle on 1 July 1916 saw the British Army suffer the worst one-day combat losses in its history, with nearly 60,000 casualties'. 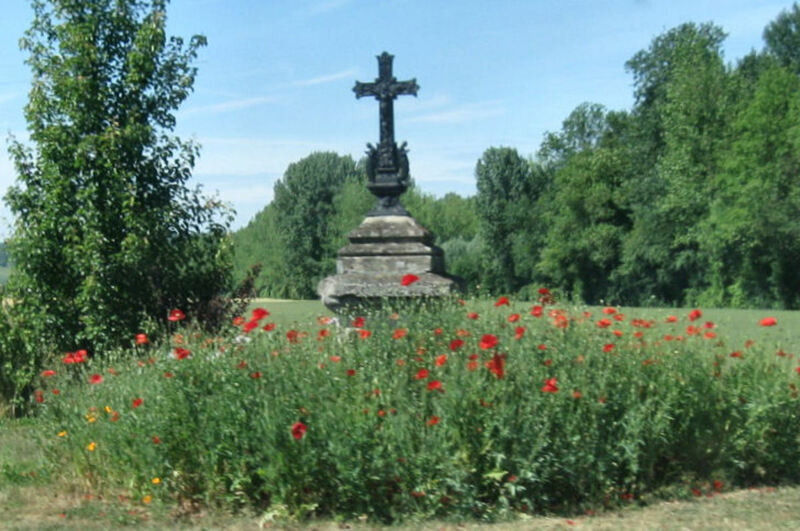 'Louvencourt' is one of the Somme's military cemeteries. It is described on the site of the Commonwealth War Graves Commission. 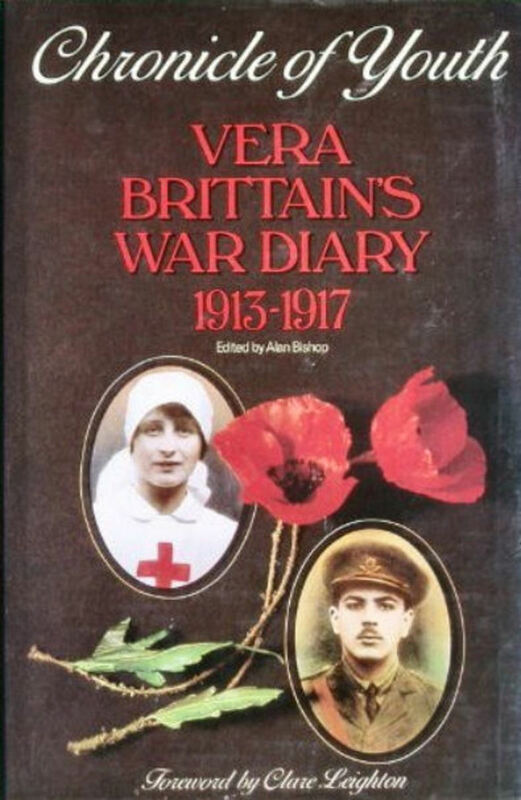 It is here that Roland Leighton lies ~ the unfortunate one-time fiancé of Vera Brittain, author of 'Testament of Youth' and 'Testament of Experience'. According to the CWGC site: 'There are now 151 Commonwealth burials of the First World War in this cemetery and 76 French war graves dating from 1915. ...The cemetery, one of the first three Commission cemeteries to be built after the First World War, was designed by Sir Reginald Blomfield'. The enormous Thiepval memorial to the missing, records the names of 73,357 soldiers ~ British and South African ~ whose lives were lost at 'The Somme', but for whom there is no known grave. 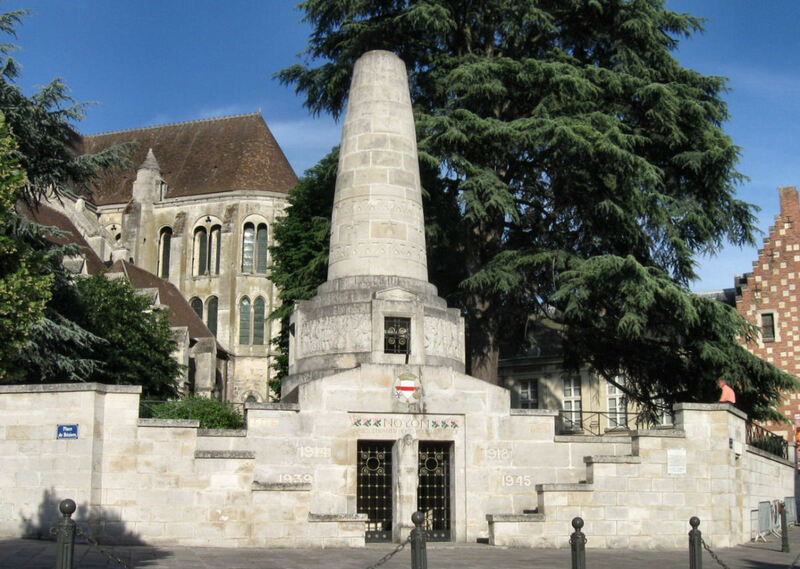 The military cemetery, which is situated at the rear of this monument, contains the graves of 300 British and 300 French soldiers who died on the Somme. 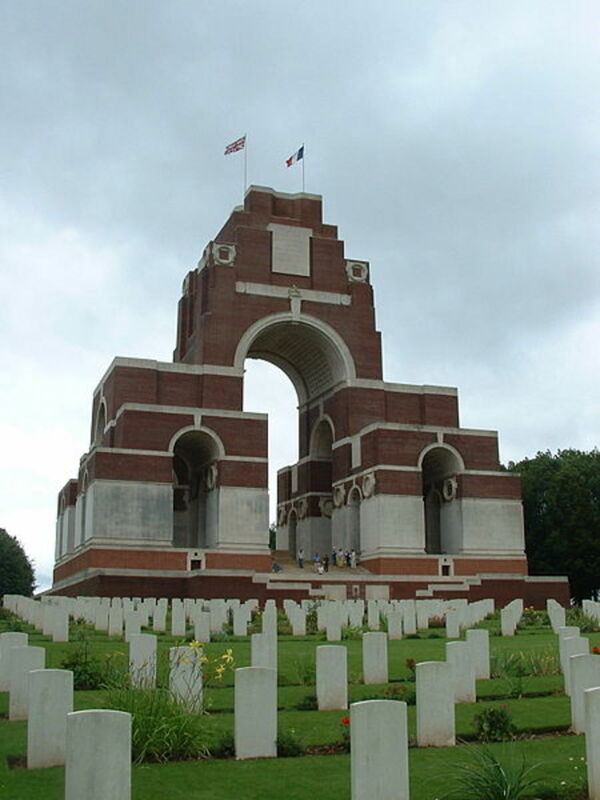 According to the Commonwealth war Graves Commission, 'The Thiepval Memorial will be found on the D73, next to the village of Thiepval, off the main Bapaume to Albert road'. Vimy Ridge was important, strategically, precisely because it was a ridge ~ the troops that held the high ground held an advantage! 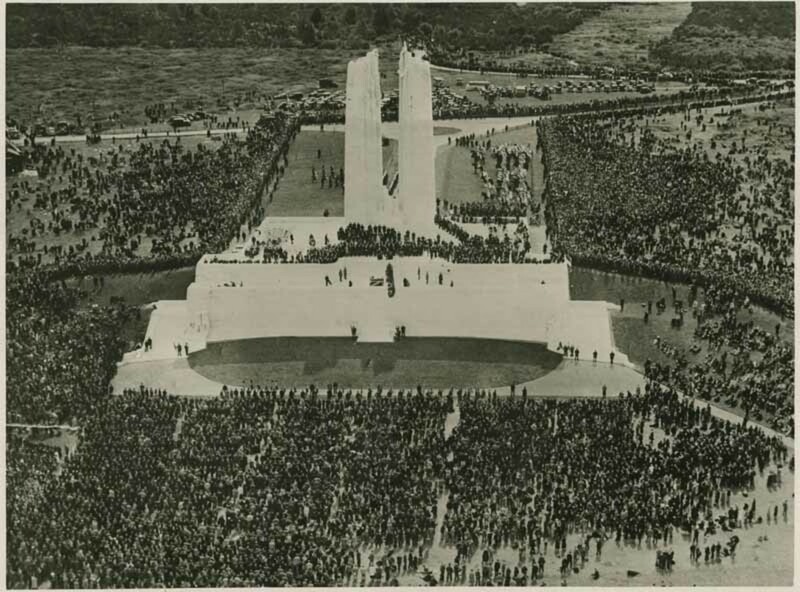 As early as September 1914, German forces took Vimy Ridge and settled in. FirstWorldWar.com states that they 'constructed deep defensive positions comprising bunkers, caves, passages and artillery-proof trenches, heavily protected by concrete machine gun emplacements'. From there, they attacked, and pretty much destroyed, the town of Arras. The French attempted to dislodge them ~ incurring 150,000 casualties. 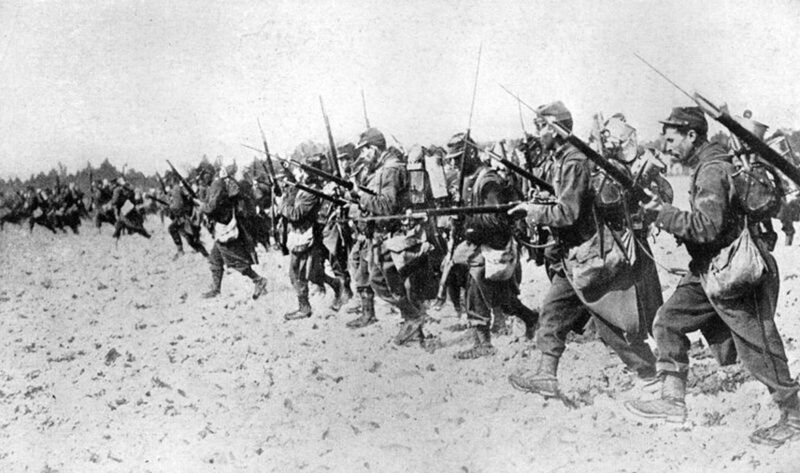 However, in April 1917, Canadian troops finally managed to overwhelm the entrenched Germans. Firstworldwar.com notes: 'It did not come without cost however: 10,602 Canadians were wounded ... and 3,598 killed. The opposing German force suffered ... 20,000 casualties'. 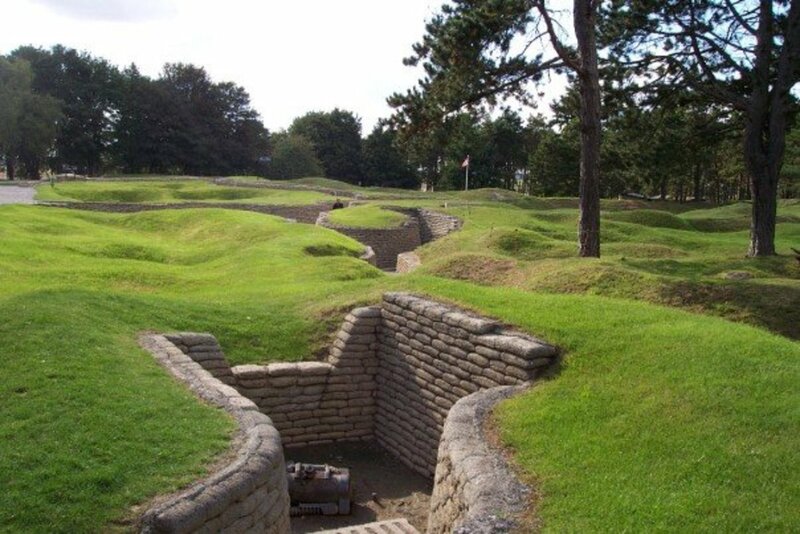 Vimy Trenches - All Quiet and Peaceful Now! The huge memorial at Vimy bears many names, commemorating those Canadian soldiers, killed in France, but for whom no grave exists. This overwhelmingly large memorial, plus the nearby 'restored' trenches, are also dedicated to the memory of all Canadian Expeditionary Force members, who were killed during World War One. The whole area is very impressive. I can vouch for the fact that the size of the monument and the number of names inscribed is almost overwhelming. Visitors can explore, and learn, throughout much of the area, but must avoid those parts where unexploded devices may still remain undiscovered. So, yes, for the most part it is, now, all quiet along the Western front as farmers get on with working the land; tourists drive through, or spend holidays there; fishermen sit patiently beside the Somme; birds sing and wild flowers, including the blood red poppies, grow along both country lanes and motorways. The guns of war have been silent for decades now ~ even allowing for a Second World War, which erupted in 1939, despite the Great War being considered as 'the war to end all wars'. 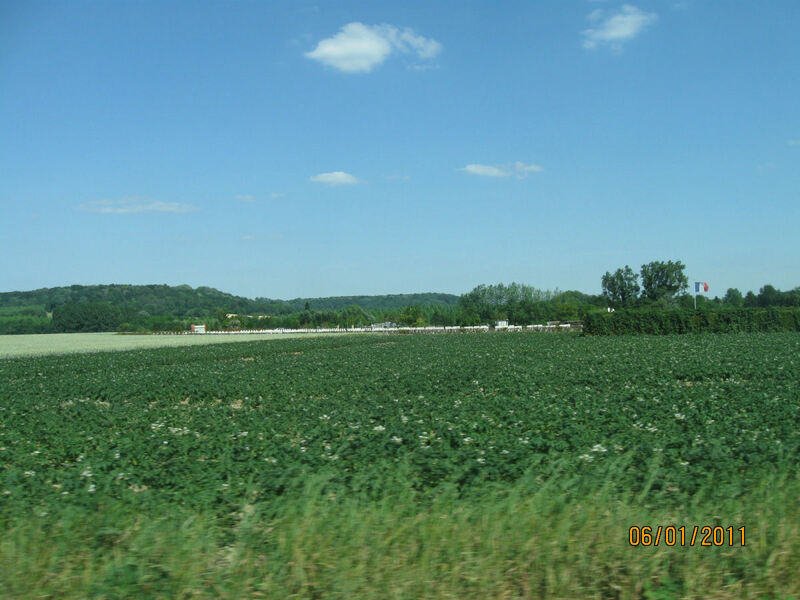 It is hard to imagine just how much suffering was endured in this green and pleasant land. According to Wikipedia, 'it was one of the most famous songs from World War One'. There are also French and German lyrics to this favourite war song. Roses still flower in Picardy and, like the poppies, these flowers, too, are reminiscent of the long years of the First World War. Picardy (Picardie) is a region of Northern France. 'Blackadder' is a British comedy series - indeed a series of series, concerning various periods in British history - starring Rowan Atkinson, Tony Robinson, Stephen Fry, Hugh Laurie, Tim McInnerny and others. This final scene of the final series, covering World War One, where they go 'over the top' was unexpected in a comedy show ~ exceedingly impressive and very emotional. There are, in my opinion, similarities between 'Blackadder Goes Fourth' and 'Journey's End', the play by M C Sherriff. Thank you so much for responding to my article. It's a lovely area and it is so hard to imagine what happened there during the war. It is very easy to be moved, when one sees all of those graves, 'row upon row'. Absolutely marvelous blog, Trish! Not only helping to preserve knowledge of the past, but also beautiful. Best regards. That shows a very sad lack of respect, Rod. At least the war graves in France and Belgium are protected and honored by the people living in those countries. In Libya this week 50 Australian and 11 New Zealand war graves were desecrated. These were the men who pushed the German and Italian forces back during WW2. I dare say the Rats of Tobruk will live on in memory and gallantry long past the time when the cowards that disturbed the graves of those brave Aussies and Kiwis are forgotten dust on the wind. Thank you for commenting. Your father must have suffered hell on earth ~ and at a very young age, too. I can understand why he was wary of talking about his experiences, and why you were unwilling to press him on the subject. At the age of 17, in August 1914, my father joined the great adventure. It was all going to be over by Christmas. But four years later he was still fighting in the mud and hell of Flanders' fields. The picture that really gets to me is the one above, of the soldiers gassed, shuffling forward. My father could be one of them. He was gassed and spent 2 months with his eyes bandaged wondering if he would see again. He recovered, and returned to the front. I wish now I had asked him more about what he went through. He didn't talk about it much. And I didn't ever tackle him about the pointless carnage. It would have been wrong to have suggested that he fought, and saw so many of his comrades die, for nothing. Having fought though 'the war to end all wars', it took a bunch of half-witted politicians (is there any other kind?) to dictate terms to Germany that crippled and humiliated that country and led directly to WW2. 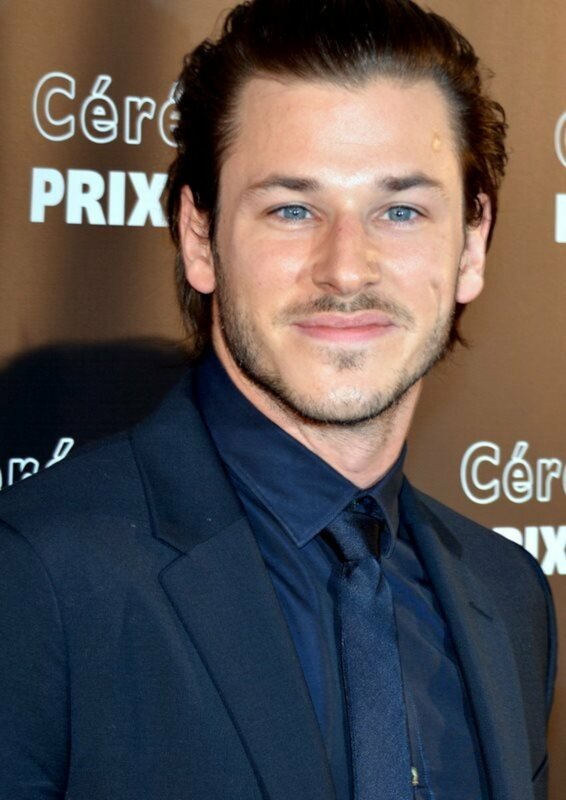 Feelings ran very high at the time, in France and Belgium ~ and continued to do so for many years. That is understandable, I think, in the circumstances. It is hard to divorce oneself from one's emotions. Politicians should try, though ~ while remaining sympathetic and empathetic. It would have been easier for America to be objective, because the First World War was 'really a European affair'. Sadly, the decision-makers seem not to have really understood the possible outcomes of their actions ~ or did understand, but felt powerless to do anything about it. MJFenn is right. Woodrow did want the League of Nations to have teeth. Members of the U.S senate were not only against American involvement in the league they were also against Woodrow spending too much time at Versailles. There was a general feeling that WW1 was really a European affair and that the European powers should sort it out. There was also the fear that if the USA got heavily involved in European politics the USA would be forever putting out brush fires, forever handling minor disputes. Back then the USA was not keen to be the guardian of the free world. Woodrow's 14 points were not all taken seriously. Points 1, 2, 5, and 14 were definitely not taken seriously. Most nations gave at least lip service to 4, the general reduction of armaments. You could say Woodrow had his teeth pulled by the folks back home. The League of Nations from the start was a toothless tiger. It's amazing to discover what was really going on behind the scenes. Instead, the Republicans in the Senate threw out US membership of the League. And Warren Harding and his 'normalcy' got the White House, before his Presidency dissolved in illicit drinking bouts, massive corruption around World War One veterans' affairs, and a cerebrovascular accident which fortuitously spared Mr Harding's funeral from being overshadowed by public knowledge of all the graft, still yet to emerge. 'Keeping cool with Coolidge', and in the supposed safety of isolation, the US instead sponsored the Kellogg-Briand Peace Pact, which basically meant that nations were invited to say that they didn't like war. Which, as a former lecturer of mine, David Hanley, would comment, is rather like a bishop saying he is against sin and in favour of virtue. Yes, Rod ~ a huge, huge pity. President Woodrow Wilson wanted to plan for the future rather than punish Germany but Britain and France were definitely in a punishing mood. It was hard for the American president to argue for a less harsh treatment of Germany since the Americans had come in late into the war and had suffered fewer casualties. Yes, if the USA president had been listened to and his advice followed there might not have been a WW2. 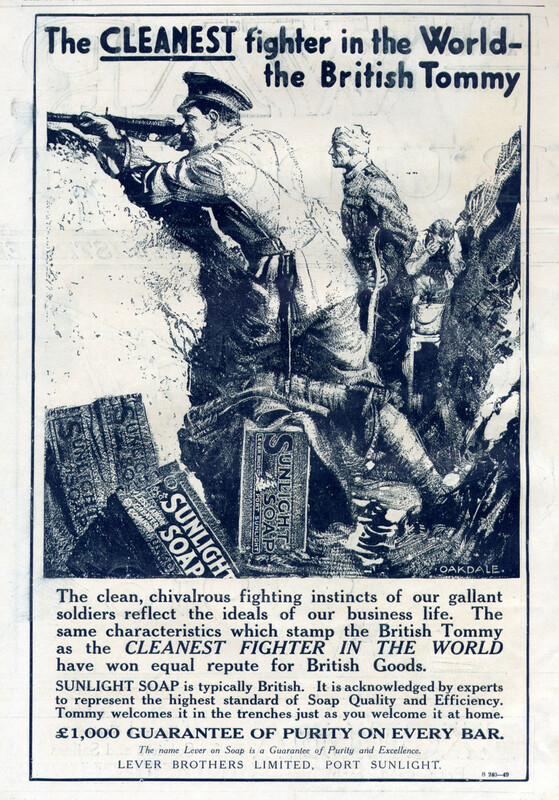 As for the need to punish, the Germans weren't the only ones keen for war in 1914. The British upper class and middle class felt that the working class was getting out of hand with unions and such. A good bloodying, a six month war was the ticket to sorting them out. It would, no doubt, stop the possible spread of communism. In Australia there was the belief that anyone who joined the army to fight the Hun would, no doubt, arrive too late for any real fighting since Europe is some distance from Australia. The notion of seeing some other part of the world at the government's expense and having a bit of adventure was in the wind. A pity the war lasted more than six months. Perhaps, if the Allies had thought about the situation more carefully, when they decided upon Germany's 'punishment' post World War One, Hitler might never have come to power. Old Geezer is right about Hitler. One of the people the Americans were able to interview was Hitler's family doctor. Strangely enough he was Jewish. He had to flee Europe in Hitler's wake. The doctor tried to save his mother but there wasn't much one could do about cancer at that time. Hitler may well have blamed the doctor and thus the Jews for the death of his mother. There was a Jew who was one of the signatories for Germany when it came to the Treaty of Versailles. Hitler made much of this. Hitler was also a survivor. A number of his siblings died while they were only children. His mother put it to him that he must be marked for greatness. Hitler thought he was dying and had only a short time to make Germany great. He took medication to stay alive. Yes, he did also take drugs, uppers and downers, in 1945. The Americans could have had Hitler assassinated or removed in some other way from office. There was a novel idea the Yanks came up with of slipping estrogen into his food so his moustache would fall out and his voice would sound more feminine. In the end it was decided that he was of more value to the American war effort being alive and in charge. When he made military decisions things tended to go very wrong for the Germans. He never made it past corporal in WW1 but that didn't stop him from taking charge and messing up during WW2. Mind you he was a runner during WW1 which in anyone's book is a very gutsy and dangerous job. Germany was still holding some enemy territory when the armistice went into effect thus the Germans really did expect a better deal than they got. It was a question of food. Germany was starving. There had been bread riots in Berlin. The allies had the Germans over a barrel and so a very young democracy got the worst start you can imagine. The Weimar Republic tottered on for a while but, after the signing of that treaty, it was thoroughly despised by a lot of old soldiers who had fought hard for their country in WW1. Thanks for the information on Hitler ~ very enlightening! If he was psychotic and drugged, then that explains a lot. Hi Trish, I recently came across a book by Walter C. Langer. It is called "The Mind of Hitler." Dr. Langer was a psychoanalyst commissioned by the US Office of Strategic Services (OSS) to write a study of Adolph Hitler. This study was written in 1944, but released from US Government files in 1969. 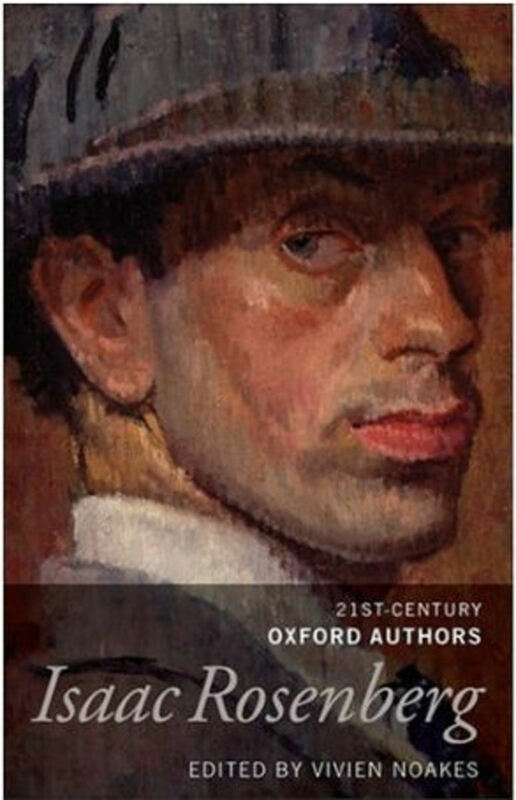 The book was published by Basic Books, London. I, and others more qualified to judge, deem it to be classical. Yes, Dr. Langer concluded that Hitler was "Psychotic" and Hitler's physical and mental health was complicated by over medication. Yes, France is a lovely country. We visit quite regularly. And it still can be heart-wrenching, to this day, to consider what went on in that beautiful countryside. Hitler hoped to bring Germany out of the doldrums, which followed the First World War, but his way of doing it was cruel and immoral. I'm sure that psychologists must have a field day, wondering if he were a sociopath, or something similar. Many followed Hitler out of fear, or ignorance, I imagine. What an extensive Hub on the area of Northern France. I greatly appreciate all of your photos and history! Thanks for sharing! My heritage is about 3/4's German and I remember my mother telling me that my grandparents found it hard to imagine that such horrors were being executed by Germans in Germany who followed Hitler. Of course it was true, and like others...they no longer sang German songs at the lake and generally kept their backgrounds as quiet as possible. Man's inhumanity to man is often astounding! Thanks for sharing all of those cemetery photos with us and the beautiful fields of the Western Front filled with those gorgeous poppies. So many people from many countries were never identified in this first world war. So sad! Will we ever as a human race learn from the past? Voted up and useful. Hi Trish. There is the stilted saying, "If it looks like a duck, talks like a duck, and walks like a duck, it probably is a duck." The same thought patterns might apply to 'Old Geezers'. There is nothing impolite about calling me that. I might mention that, as a school boy during WWII, I rarely told people that my roots were German. I lived in a Scandinavian community and told people that I was an American. That was OK, and if nothing else, it kept me from getting beat up. I still relish lefse and Scandinavian cuisine. Best regards. MJFenn, that certainly sounds very controversial. Yes, I think that it is generally accepted that World War Two had some roots in World War One ~ Germany's punishment, to be precise, I would say. But, due to propaganda ~ probably necessary to keep WW1 going ~ Germany was considered, by many, to be not just the enemy, but the very spawn of Satan. Many soldiers, it seems, felt differently and were aware of the similarities between the young men on each side. Yes, ignorance is probably the root of as much evil as money is! Your father must have endured some awful experiences, during WW1 in France. And I can certainly understand your interest in his thoughts on fighting against his home country. Buchanan's book makes some interesting points but his apparent contention that Hitler and Churchill were morally equivalent in relation to Jews is frankly preposterous. Buchanan writes as a veteran isolationist with a background of speechwriting to make the Nixon White House look plausible. When he looks at some of the World War One roots of World War Two, and makes accurate observations, he is far from the only person to have done so, and it would be unfortunate if any accuracy to those observations were somehow to appear to confer legitimacy on the preposterous things he suggests about Jews in relation to the Nazi German and British leaders respectively. Marvelous pictoral history, Trish. My father was born in Bavaria, but raised in the United States. He fought in the American Army during WWI, and served in France. I asked him, on one occasion, whether it was difficult to fight against Germany. He said that the only time he was bothered was when some American, with a German surname such as Schmidt, would damn the Germans and suggest that they should all be killed. They didn't seem to realize that their own background was German. I think it was the ignorance that bothered him the most. Have you read "Churchill, Hitler, and the Unnecessary War" by Patrick Buchanan? I found it very interesting, and it suggests to me that Homo sapiens is not always wise. Best regards. Thanks for your comments and sorry not to have acknowledged them at the time! Thanks Trish for all the added information. The input from MJFenn is also important. Lest we forget. Re. New Zealand input to the war effort on the Western Front in World War 1, the Le Quesnoy area saw particular action. Here are some references to Fromelles, France, and to the Military Cemeteries in the area. I had checked out 'Return of the Soldier'. It was definitely not Alan Bates in the part. I don't know 'The Unknown Soldier', but I checked it out and it looks quite good. Neither is the one I remember. It was definitely set in North America. The soldier comes home to his family, and his young wife, and he is like a stranger to them, because of what he has been through ~ and so far away, too. I am sorry not to have mentioned the Australians and New Zealanders. I have not actually seen the Australian cemeteries, but have visited Vimy Ridge and various other memorials and Cemeteries. 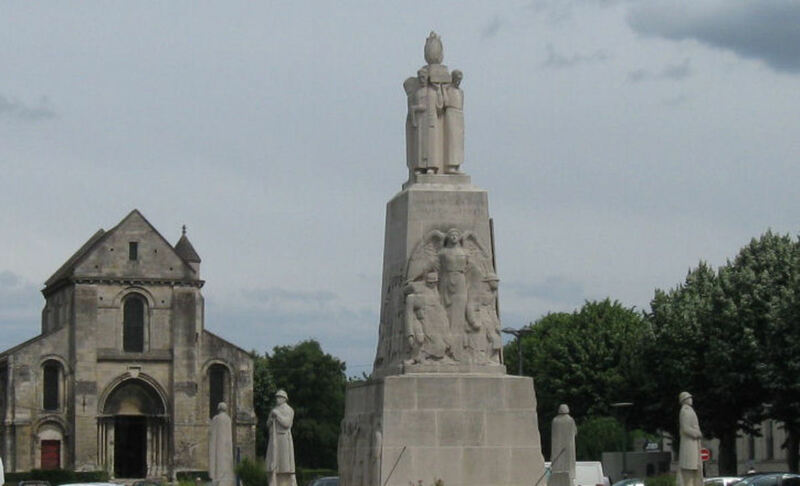 The large monument at Soissons, and the plaque in the Cathedral there, are both dedicated to Britain and to the (then) empire, so those include Commonwealth soldiers. Yes, indeed, there were soldiers from all over the globe fighting on the Western Front ~ and, of course, on other fronts ~ including Indians, Africans, etc, etc, etc. Well done Trish. I will vote up. In my hub on 1919 I touch upon why there was a 2nd world war after the devastation of the first world war. You have covered very nicely the British and the Canadians. I suppose it would have taken up too much time and space to have included the ANZACS (Australians and New Zealanders). There is a large Australian cemetery at Fromelles. There's the Buttes New British Cemetery which includes New Zealanders and Australians. Since it includes Australians from the battle of Passchendaele where Australians did a top job it is an important locale. 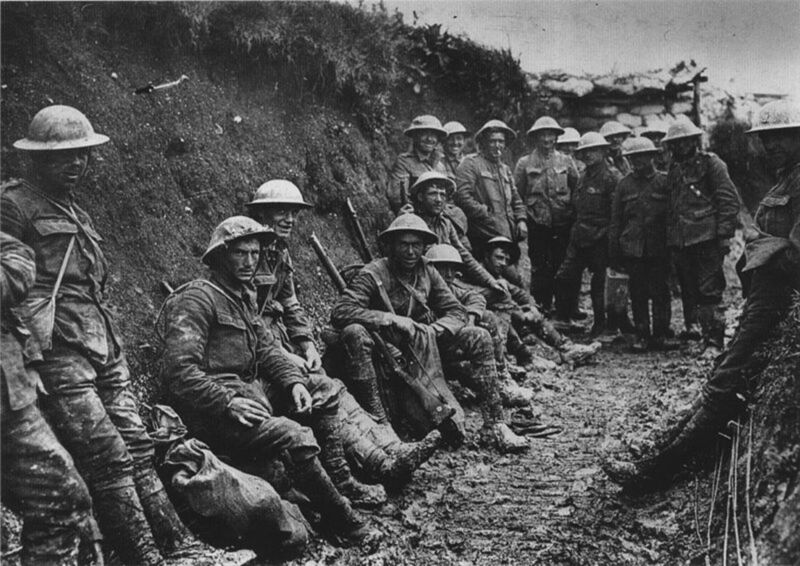 It was the fact that men came to the Western Front from all over the world that contributed to the idea that this war was a world war. Not that there wasn't fighting in Turkey, etc. Trish_M: Two movies come to mind about a shell-shocked WWI soldier. It's been a while since I saw them but I don't recall a North American setting. "Return of the Soldier," with Alan Bates, based on Rebecca West's debut novel, and "The Unknown Soldier," with Gary Mavers, which came out as a UK miniseries. Was it either one of those? Interestingly, re. 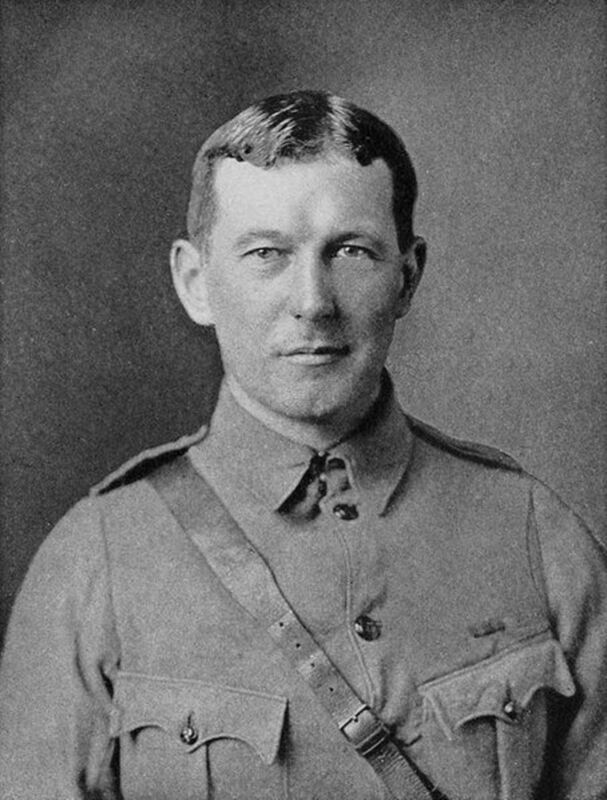 the poet John McCrae (whose grave I have seen near Ypres, Belgium) was a great-uncle to Mrs. Geillis McCrae Kilgour Turner, wife of former Canadian Prime Minister John N. Turner. The McCrae Museum is situated in Guelph, Ontario. 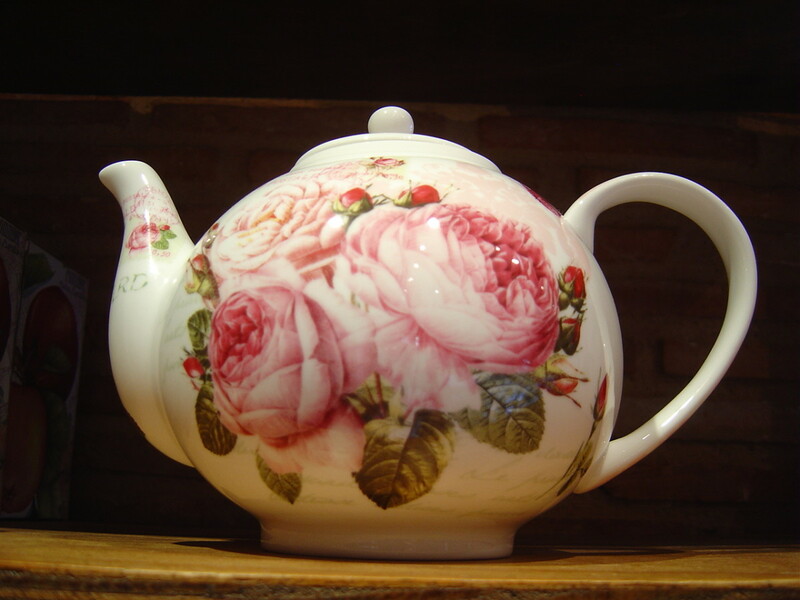 Thank you very much for reading this ~ and for commenting so positively ~ much appreciated! Yes, a lost generation ~ so sad; and so wasteful of young life. I look forward to reading your article on McCrae ~ I love his 'In Flanders Fields'. Trish_M: Your coverage presents so well the storm behind the quiet and the pathos of lost youth, lost lives, the lost generation of poets such as McCrae, Owen, Brooke, et al. I started a hub on John McCrae last summer and had to set it aside after immersing myself in background materials. I've been thinking of it lately, and I hope to return to it soon. 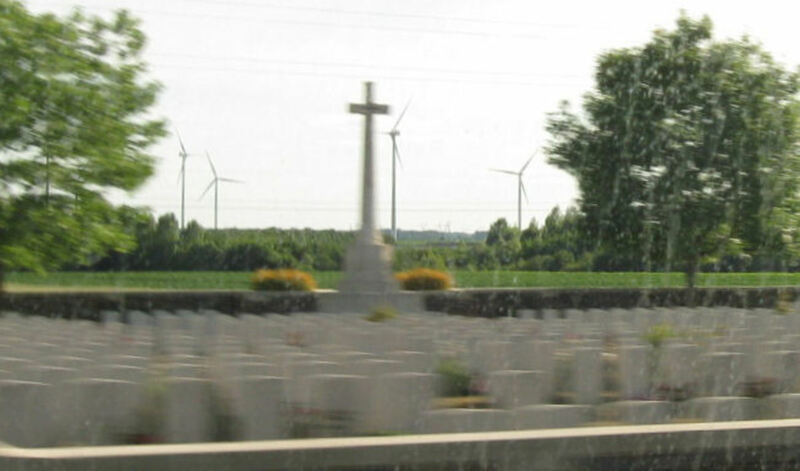 I've often thought of all those cemeteries --- "still very smartly lined up" --- dotting Europe's landscape, and your photos and words give appropriate honor to those who do their perceived duty at full price of their lives. And one of your subheadings --- "We crossed the Somme" --- is perfect in its symbolism. One of the most poignant films I've seen on World War I is "Gallipoli" by Peter Weir. 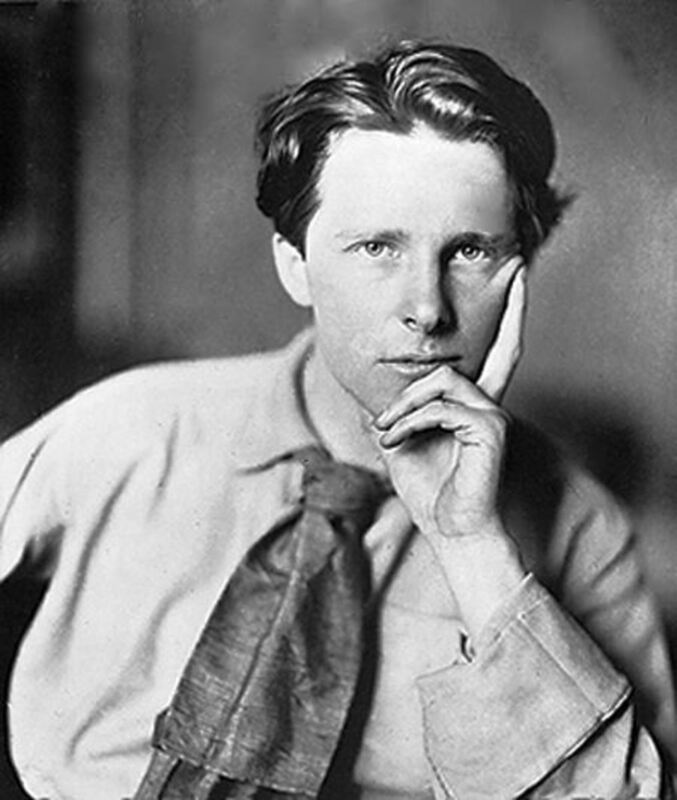 Although Rupert Brooke did not escape death, at least he eluded the tragedy of Gallipoli. I shall have to look up that Barbara Tuchman book . 7 years ago from South Valley Stream, N.Y.
Nicely done, Trish_M. 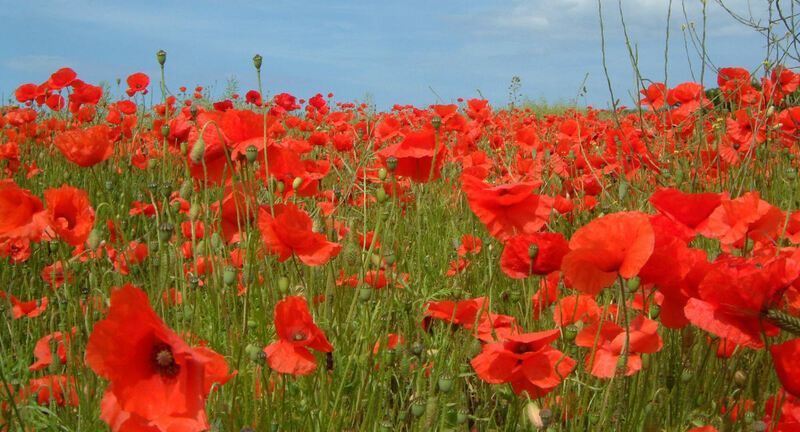 It's good for all of us to remember the horrors of war and remember those in Flanders fields. I can't think of WW I without thinking of one of my favorite books, "Guns of August" by Barbara Tuchman. It's a fascinating subject. I particularly enjoyed the John McCormack video. Thanks. 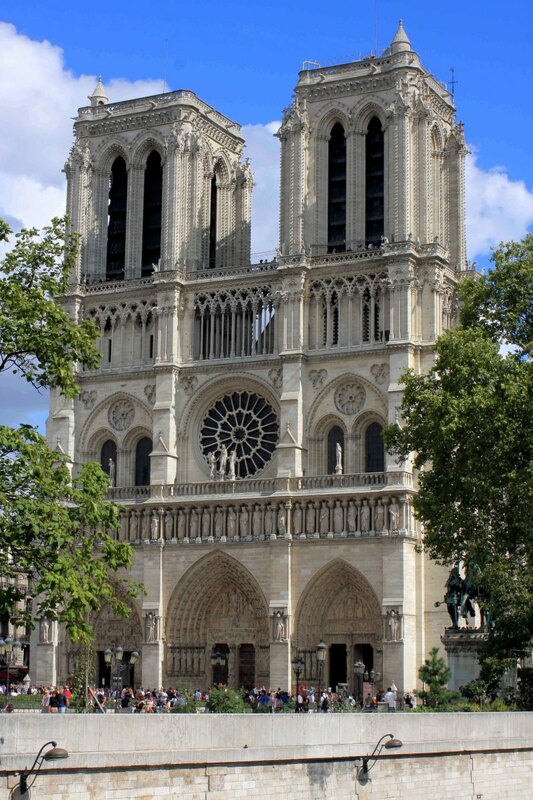 Yes, there is a lot of history to soak up in France! Well reported, Trish. A few friends and myself visited Northern France a few years ago, soaking up the history. Voted up. Thank you for reading and for making such appreciative comments. If it's a good hub, then it is because the subject matter really resonates and the French countryside is so photogenic. I love visiting France, I love taking photos, I love history ~ and I find the stories of the First World War very distressing. There was just so much death and unnecessary suffering. 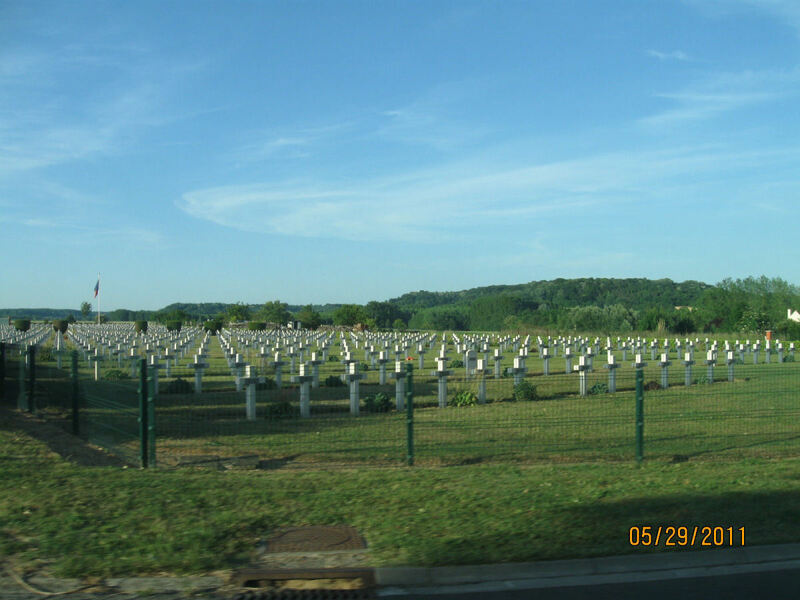 France is so open and huge; it's a joy to see ~ but all those cemeteries; too sad!!! Yes, the Poetry of War is especially beautiful and poignant ~ whatever its content. Yes, it's hard to believe the suffering endured in Northern France. The first time I visited, I do remember feeling very sad, when I saw those names that I recognised ~ all looking so different from the images in our history books. Thank you for adding that informatiom. I'm afraid that I was not aware of all those facts. I watched a very good film, on TV, a few years ago, about a North American soldier ~ either Canadian or US, I forget which ~ returning from World War One. He was totally shell-shocked, with no-one to turn to who would understand. It was very moving, but I forget the title. Maybe someone reading this will know it and remind me? My gosh Trish, this is a remarkable hub.You've done an excellent write and your photos.. its really how one should look. I also like the way Amazon is placed as it actually helps the article rather than turns one off. Up! n Awe. Lovely and poignant article that reflects your usual talent and care as a writer and publisher. With the added joy of your excellent photos. Putting these great hubs on here is pearls before swine, really. I don't refer to the reders, but the lack of real attention they receive and the paucity of the rewards received by the author. Some of this war poetry, especially from the Great War, tugs on the heart like no other. As if life - in its often trauma and always sad ending - is not enogh for mere man to bear without the added burden of having to wage war against our brothers. Hello Trish, really good hub. I too visited this region quite a few times. As you say the scenery around the Somme belies it's history as a battlefield, not just of the years 1914-18 but throughout European history. Also love the Blackadder Goes Fourth Clip, a brilliant piece of writing, and full of irony. I wonder how many Americans might recognise Hugh Laurie as someone other than Dr. House? 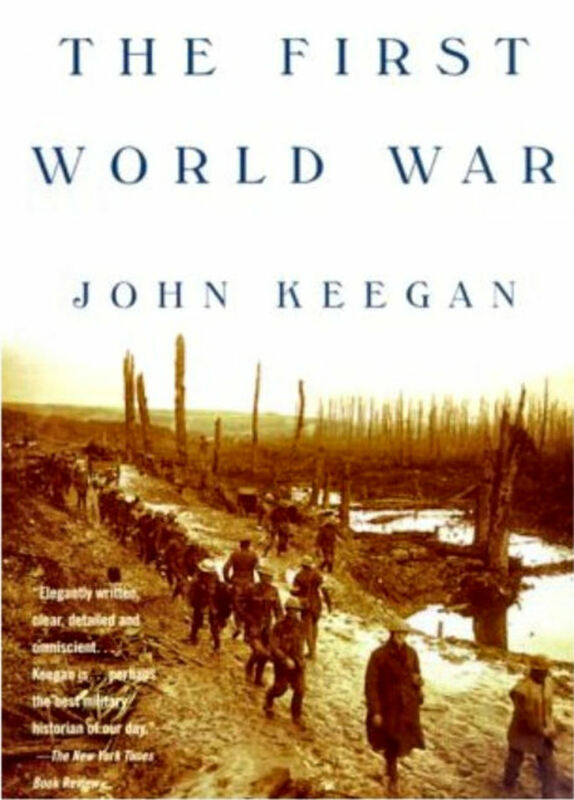 I was thinking historically that the experience of WW1 for North Americans proved to be profoundly significant as regarding US and Canadian approaches to WW2: FD Roosevelt, in mobilizing the 'Arsenal of Democracy', strove to ensure that corporations with military contracts did not take undue advantage of WW2; indeed, the Consolidated corporation basically went out of business rather than comply with Roosevelt's demands; indeed, also, Harry S. Truman's inclusion for VEEP on the 1944 had largely to do with his efforts, profile and popularity on the Senate for going after war profiteers and wastage. Here in Canada, revulsion at Arthur Meighen's boasting of imposition of conscription in Quebec, and his later 'Ready, Aye, Ready!' response in 1922 to the possibility of going to war again over the Chanak crisis, had significantly to do with the 22 years of Prime Ministerial Office of William Lyon Mackenzie King — his rival. It was also of some background significance to the Statutes of Westminster of 1931, whereby the legislative independence of British Dominions was confirmed: in other words, it would take a separate act of a Dominion's Parliament to go to war again. Yes war profiteering leaves a nasty taste, doesn't it. Thank you for reading, and for your kind comments!